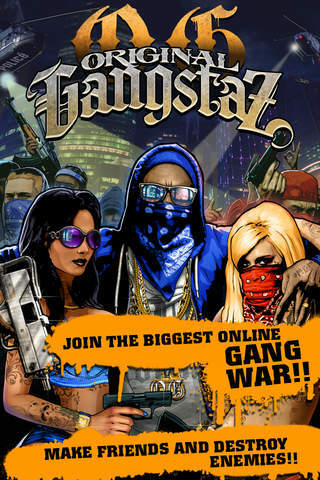 ★★★★★ The ULTIMATE MMO GANG WAR!! ★★★★★ Most SOCIAL & CONNECTED game! – Best In-Game Social Community, CHAT, Messaging & Friend feed, 5 CASINO GAMES, Engrossing Gameplay & Mad PvP Action LIVE, REAL-TIME with all SUSPENSE & STRATEGY! ★★★★★ Build your GANG, CREW & ALLIANCE with FRIENDS & CHAT with them. 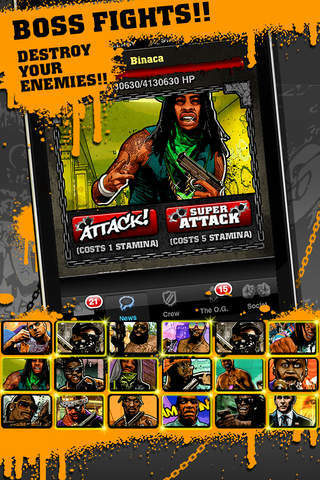 EARN PRESTIGE by DESTROYING YOUR ENEMIES to become the TOP GANGSTA in a World with MILLIONS OF PLAYERS! ★★★★★ Be the Vegas KingPin with 5 CASINO GAMES – SLOT MACHINE, SPIN 2 WIN, VIDEO POKER, KENO, SCRATCHERS to win rare Loot, Cash & Chips! WIN JACKPOTS for MILLIONS of Tickets! 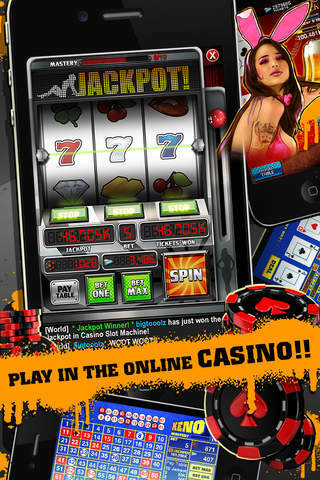 CASINO MASTERY for even MORE REWARDS & WINNINGS!! 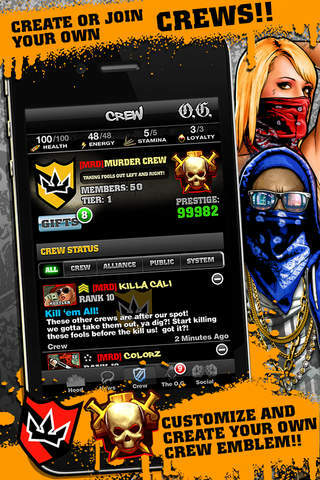 ★★★★★ CHAT Real-Time with your CREW, ALLIANCE, Contacts, GROUP CHAT, ONE-ON-ONE CHAT & the ENTIRE WORLD! 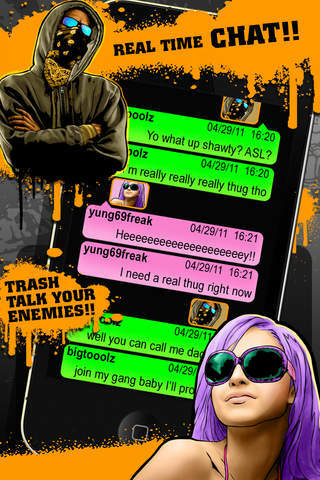 Play & Share YOUTUBE VIDEO & MUSIC inside CHAT! ★★★★★ Free updates forever & much more!